Mayura Academy is a school of performing arts which made its own place in the enormous ocean of the performing arts. The institution was started in the year 1990 by Venkata Ramana Karanam and his sister Srivani Karanam.Both of them are specialized in traditional Kuchipudi dance form. Smt Srivani Karanam is also an accomplished Veenaartist. Her husband Srinivasa Rao Kapa is also an accomplished artist in the percussion instruments of Mridangam, Ghatam, Morsingand Kanjeera. In the past two and half decades, the academy has trained more than 400 students according to the prescribed syllabus of Telugu University and Central University.Many of the students have passed the certificate exam conducted by Telugu University with flying colours. The students are also given a good opportunity and exposure by making them to participate in various cultural activities and also a value added course of training is given in various other aspects of dance such as stagecraft, makeup, nattuvangam and choreography. Venkata Ramana Karanam is a devoted Kuchipudi dance guru, who has an infinite passion for traditional classical form of dance.The journey of dance in Guru Ramana’s life began at the age of 8 when he was first introduced to Ms K. Vijaya Lakshmi, by his parents. Ramana’s passion for dance did not end with the certificate course, he took further training with discipline as per the ancient Indian Guru Shishya Parampara under the effective guidance of Sangeetha Natyacharya Dr. Pasumarthi Seshubabu, son of traditional Kuchipudi guru and Central Sangeeth Nataka Academy winner Late Sri PVG Krishna Sharma for about 5 years. 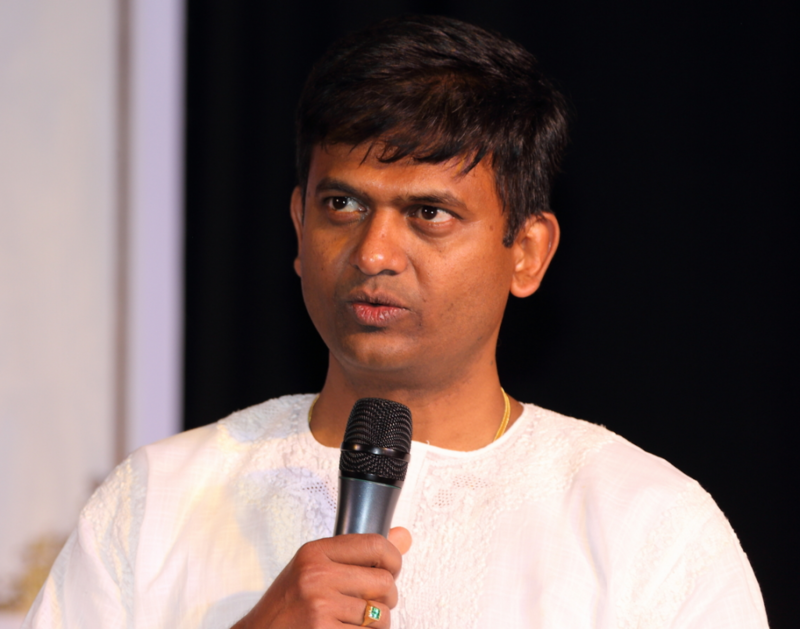 Ramana has also learnt Carnatic classicalmusic under the guidance of a devoted teacher, Haripriya (Hyderabad Sisters), at SBR Music College in Hyderabad. Apart from completing training under traditional gurus.Ramana during his Masters has been trained by the Great gurus like Late Padmasri Nataraja Ramakrishna in Aesthetics.Tala System from Natyacharya Pasumarthi RamalingaSastri, choreography and perfection of techniques of Kuchipudi from Prof. Anuradha Jonnalagadda. He has also specialized Abhinaya from Sri. Kala Krishnaand Theory of Dance from Late Prof.P.S.R.Appa Rao garu who has translated NatyaSastra , Abhinaya Dharpana and numerous texts to Telugu and English. •MANMADHA DHAHANAM’-Ballet Performed in Indira Priya Darshini Auditorium. 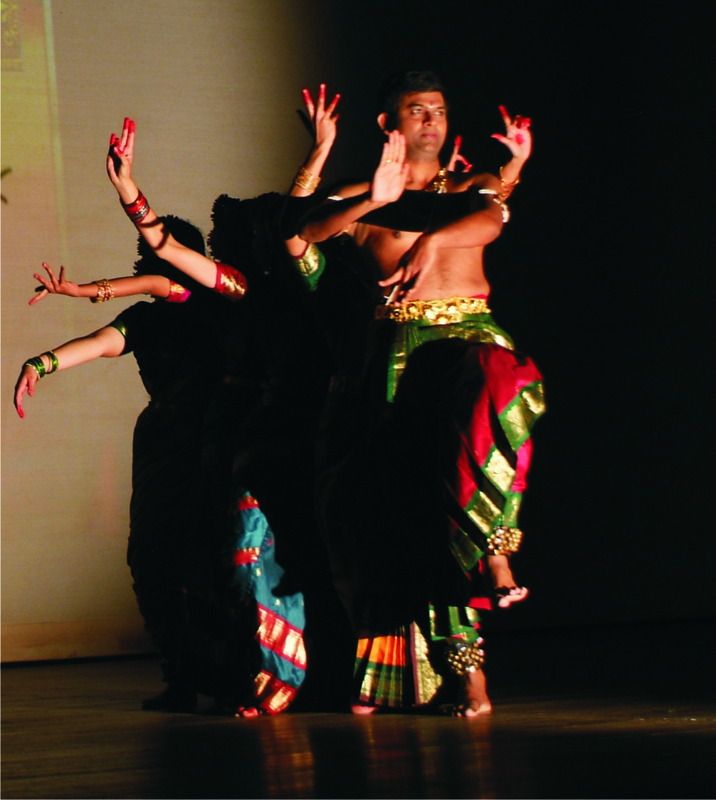 • RAASAVILAASAM’ –Ballet performed in RavindraBharathi-A prestigious production by the university of Hyderabad. • ‘MACHBETH’ – worked for back-stage produced by National School of Drama and S.N.School. • ‘BAKASURA’ – produced by S.N.School Actor, Make-up and Back stage support. • Performed in ‘FESTIVAL OF KUCHIPUDI DANCE’ at Kuchipudi village (the birth place of Kuchipudi classical dance). • Also worked for back stage in many plays of S.N.School. • Choreography of ‘Pancha Bootas’ – Classical Ballet on the five elements of nature. • Make-up workshop conducted by Shri.Anji Babu of FTI, Pune. • Make-up workshop conducted by Shri.Adabala. • Workshop conducted by Nana Gleson on Modern Dance. • Workshop conducted by Sharon Lowen (U.S.A) on Oddisi, Chau and Modern Dance. • Worked with Eminent Directors in Theatre: N.J.Bhikshu, D.S.N.Murthy, Bhaskershewalker and Chaatla Sri Ramulu. “A magnificent show that brought out the soul of India on Sydney soil” – Inspiring and Soulful – Indian Herald. “Mayura Academy Students live up to their name” – Indian Link. Address: Classes held in Girraween.